Mayor Crombie, Susan Amring, Director of Economic Development, and corporate leaders from BioLab meeting in 2015 at the company’s Brazilian office during the 2015 Economic Development Office Investment Mission to South America. BioLab is a $56 million foreign-direct investment (FDI) that will create 40 high-paying and high-value jobs, many in research and development, Mayor Bonnie Crombie said yesterday. BioLab is located in Mississauga’s leading Airport Corporate Centre – home to over 35,000 employees and 674 businesses. “These companies drive our local, provincial and national economies,” Mayor Crombie added. 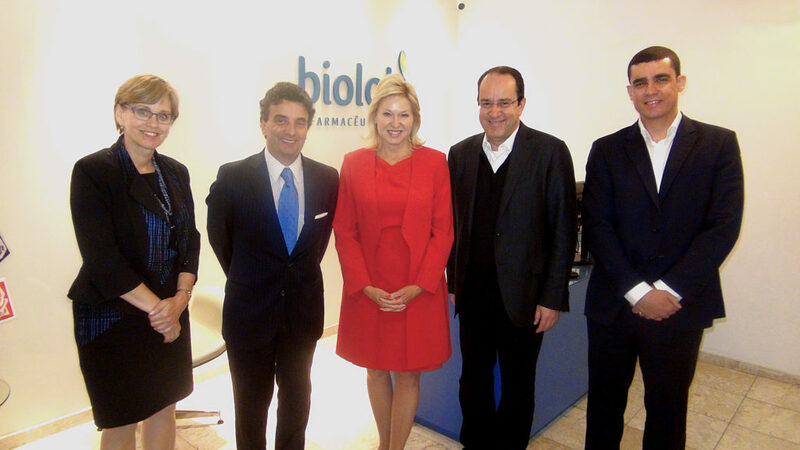 Mayor Crombie made the comments during the grand opening of BioLab – a Brazilian-based pharmaceutical giant. Mayor Crombie first met with corporate leaders from BioLab during her 2015 investment mission to South America. “Mississauga helped secured this new BioLab investment because we were on the ground in Brazil – highlighting our value proposition – strengthening important and lasting networks – working with other governments, including our partners in the Wynne government,” said Mayor Crombie, who was joined by Finance Minister Charles Sousa and Economic Development and Growth Minister Brad Duguid. South America was chosen by Mississauga for an investment mission because of its large and internationally recognized life sciences industry, Mayor Crombie said, adding that the Brazil-Canada Chamber of Commerce is represented on the Mississauga International Partnership Program Committee – a working group of cultural business associations that seek to expand Mississauga’s reach into the global market.